Prime location and easy access to interstate, shopping restaurants, bike path and more! Upon entering unit in a secured building you will recognize pride of ownership in this well maintained unit. 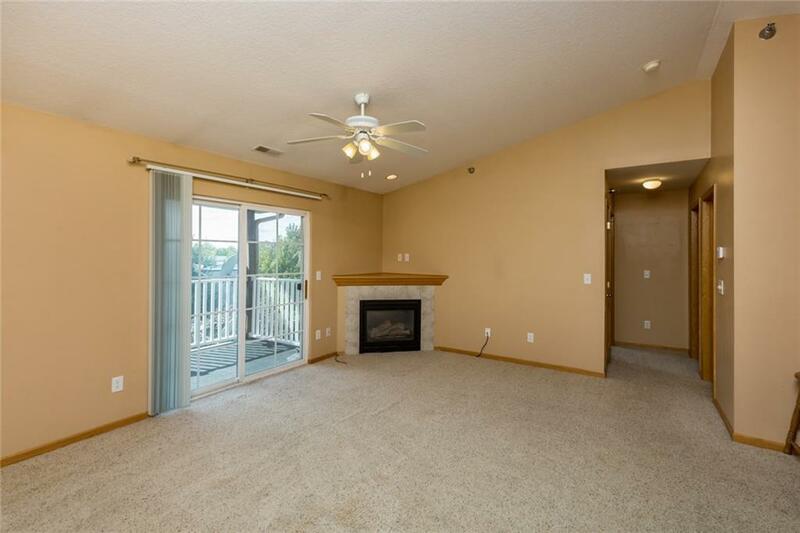 Carpet flooring in living room and hall open concept kitchen, living room and hallways with vaulted ceilings. The living room features a relaxing gas fireplace and patio door to a private balcony that has a view of pond. The unit includes a private garage with plenty of storage. Forget about lawn care and snow removal as it is covered with this association. Don't miss this great opportunity!